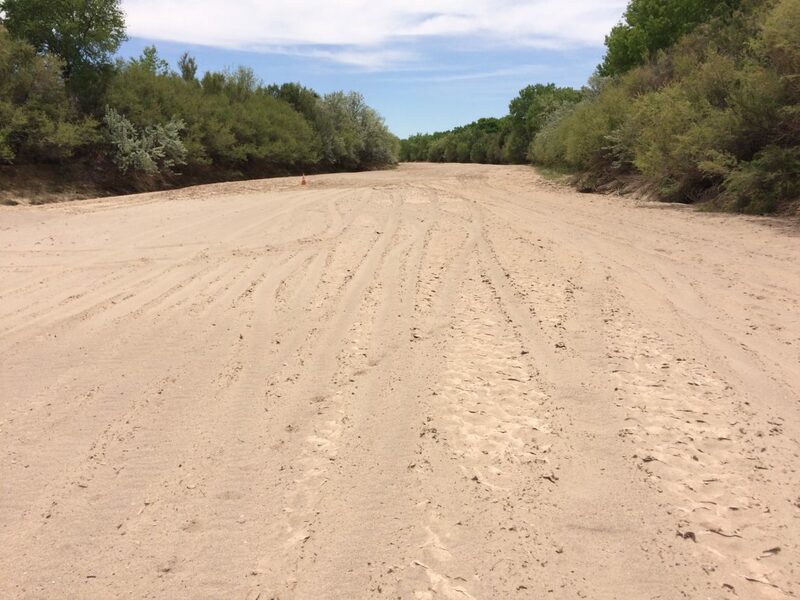 Anyone who recently watched recent floodwaters rip down the Santa Fe River or the Rio Puerco—or had a skylight punctured by hail—might be tempted to declare that the annual monsoons ended New Mexico’s drought. 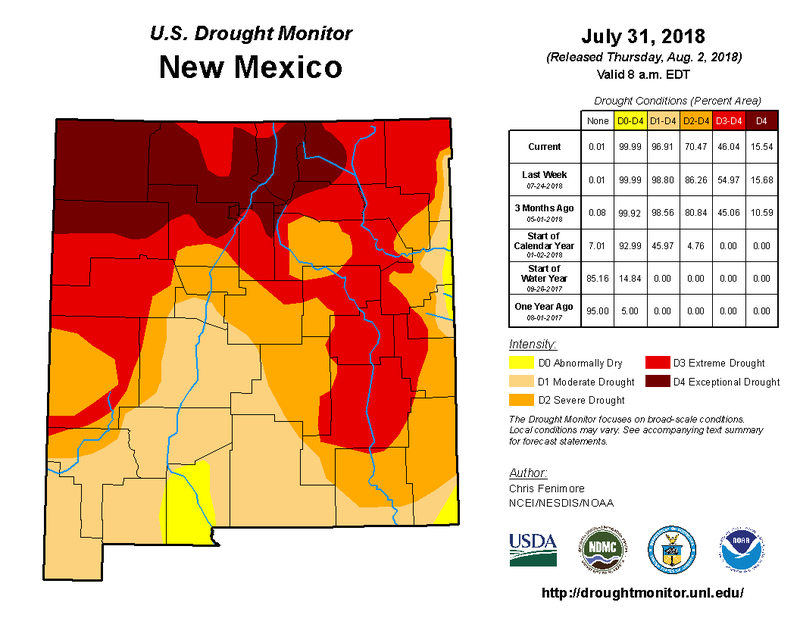 The weekly New Mexico Drought Monitor, released Thursday, shows improvements in New Mexico, mainly in the eastern part of the state. 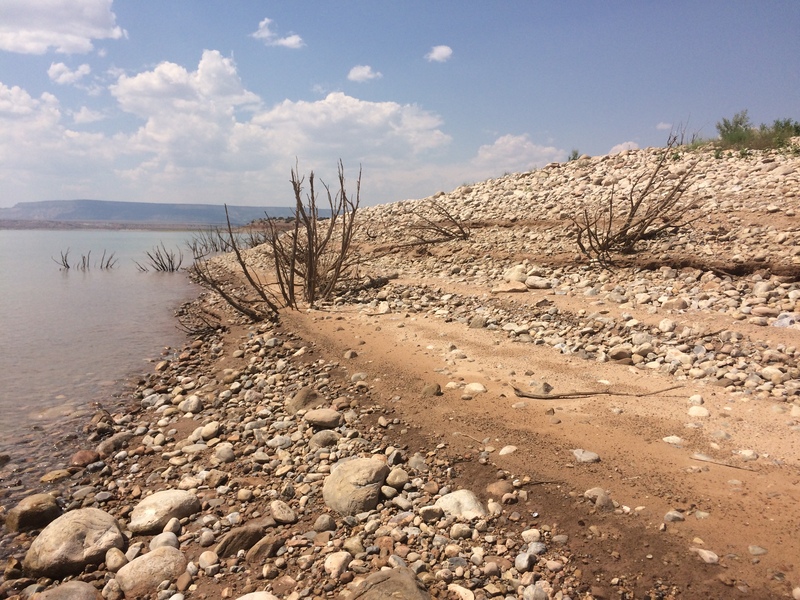 But 99.9 percent of the state is still in drought, with 46 percent of the state experiencing exceptional or extreme drought conditions. 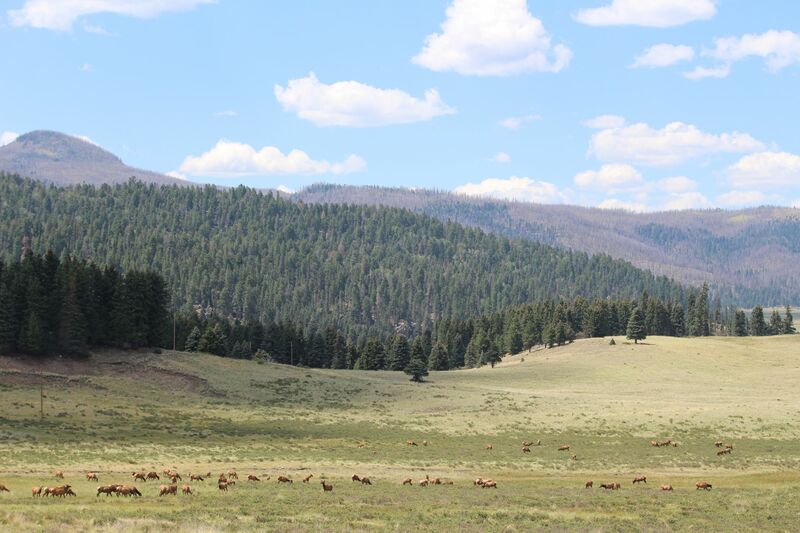 Compare that with this time last year, when 95 percent of the state wasn’t experiencing any drought conditions. There is some good news: El Niño is (probably) coming. Currently, there’s a 75 percent chance of El Niño conditions in the northern hemisphere this winter. 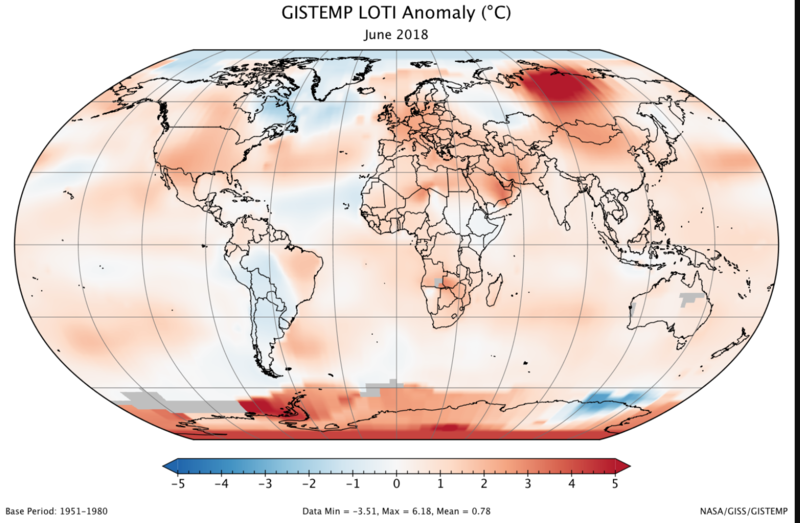 On Wednesday, NASA announced that June 2018 tied for the third-warmest June on record, continuing a four-decade long warming trend. The agency’s monthly analysis is based on 6,300 meteorological stations worldwide, sea surface temperature readings and research stations in Antarctica. And the National Weather Service noted yesterday Albuquerque is on pace for its warmest year on record.